Map showing location of Otehake River Hot Springs . Use the controls on the map to zoom in and out. 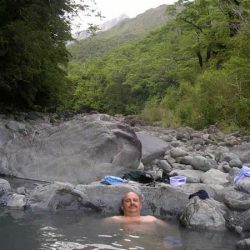 .the pools were colder than my past experience's \ may be caused by recent earthquake's.march 2013 dont try geting to the pools via the edwards/falling mountain route.its very bad. A very hot summer with out much range for a month meant Otahake River levels are very low. they allowed us to make a day walk from Lake Karapataka to the hot pools. We started down the flood route, or "blood " route as someone had written on the sign, but turned back after 5 min, taking the other trail which descended to Otahake River Valley. We walked up the gorge, crossing the river several times. We had our 8 yr old daughter with us, and she had an exhilerating day in togs in very hot weather. 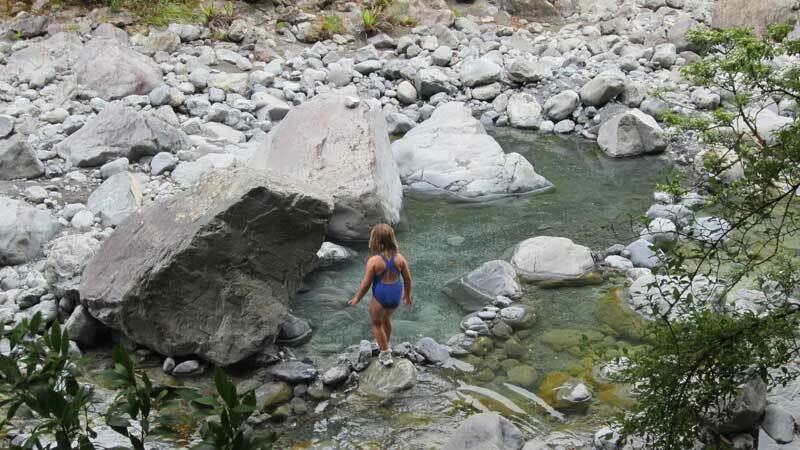 I would not attempt with a child if river was higher, as it seemed to be 1-2 m lower than usual. 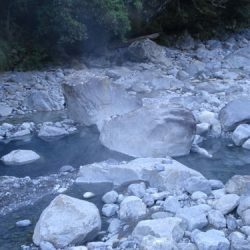 Hot pools had been built by previous users, and were easy to spot. We spent a couple of hours soaking before walking 2.6 km back to base camp for a second night listening to the birds at Lake Karapataka. Long walk, saw a oppossum. Disapointing "pool"
Camped beside Lake Kaurapataka which was sweet. 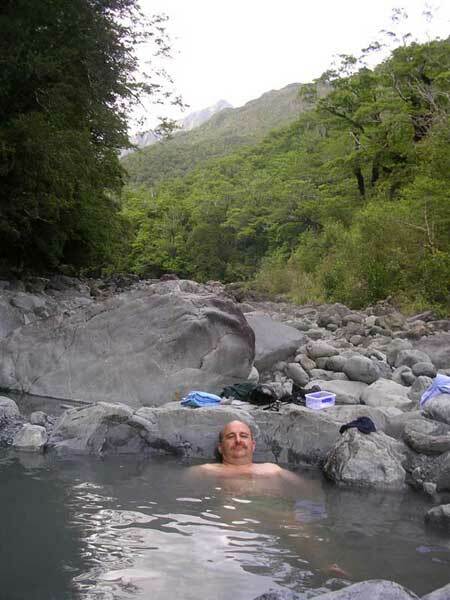 Took longer than expected to get to hot pools probably around 4.5+hrz. 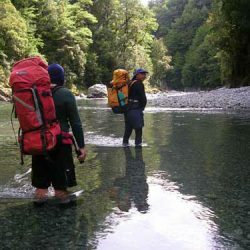 Using the swingbridge at Otira river would add another 2hrz on to this. Track is good for the most part although the path leading off to the hot pools is completely overgrown so we ended following the river up. Pools were great around 4-5 of varying temps, you can camp here as well and there is a shovel if you need to dig out the pools. Visited the site last weekend, track is really hard going now, overgrown and really slow going. The pools are no way as good as they were last visit 12 months ago, I suspect the river has been flooded over winter. The spring is now only a trickle. 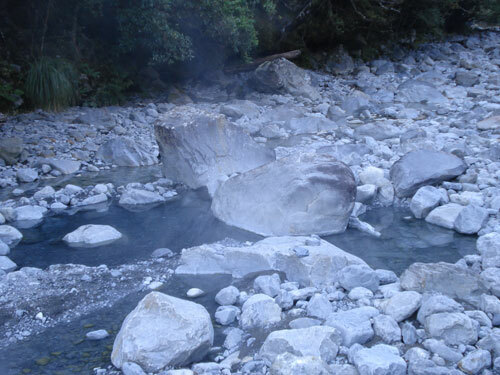 Great hotpools, my fave on the south island so far. 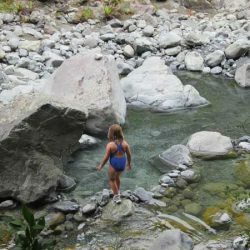 Great location and great walk, good camping right by pools. 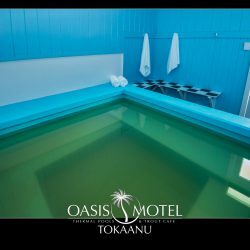 Pools can be dug out quite deep and room for 6 people or more in two pools. Gravel bottom and sandflies can be extreme here in the day so best at night. Route their is in poor state in places with falling trees blocking the steep track to the gorge and parts of the track covered with fallen wood so take care to not get lost. Flood route from lake to otehake river is hard going and also in a poor state at the moment. Do not underestimate the Otehake, the crossings are deep and fast flowing at the best of times. Do not go if the rivers are even up a little. 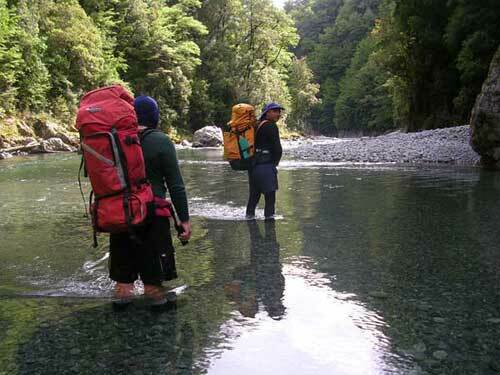 If the Otira is hard to cross dont bother! The pools are easy to find, just head up the Otehake until you see a island with trees and the pools are in the flood channel at the side. Pools may need repair or digging out after floods.